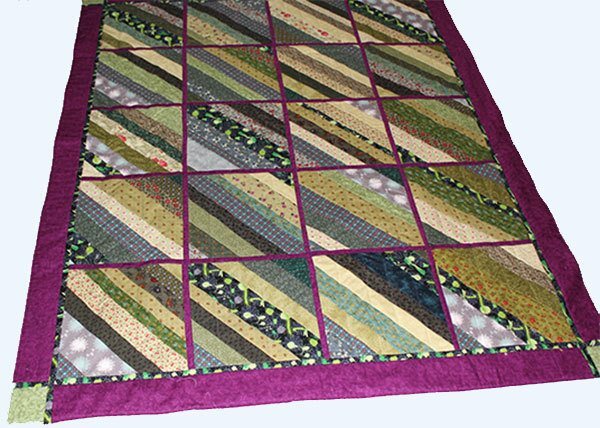 The quilt I made for Cedie was made from our How to Make a String Quilt tutorial. This one was made some time ago but I just didn’t get around to finishing it. So as her birthday was approaching it was time to get it out of the cupboard and finish it off. 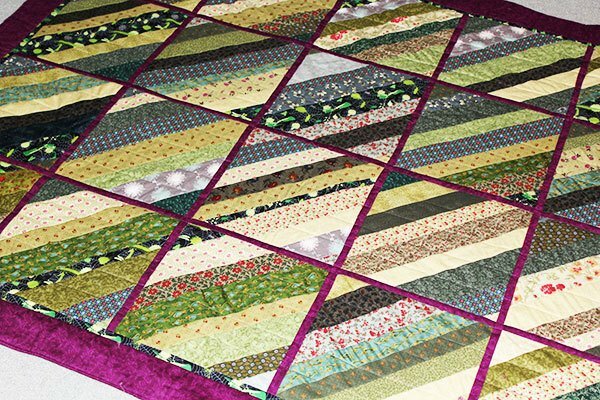 Although the blocks and sashing were made using the techniques in our String Quilt tutorial, the backing was done using the same method as our Easiest Quilt Ever tutorial. 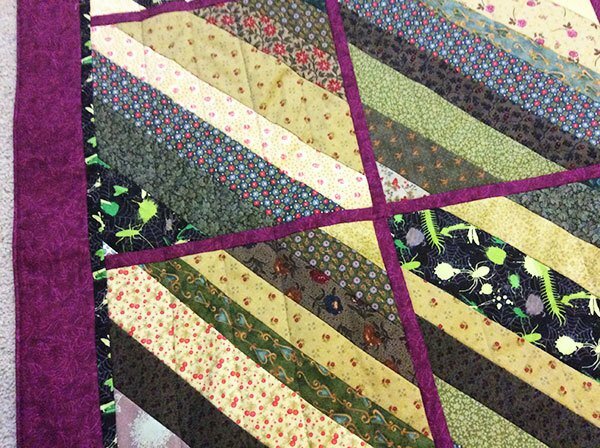 The outer edge of the quilt was topstitched to catch in the opening that had been left to turn the quilt through to the right side. I ditched stitched between the outer edge borders. The next thing was to quilt it to hold everything together. I did some linear quilting, which I quite like on this sort of quilt. The lines are 1″ apart and I drew the lines onto the quilt to keep them straight. I sewed from the top to the bottom, turned the quilt and sewed back in the opposite direction. You can see an example of linear stitching on our Triangle Table Runner tutorial. When making a string quilt can the stabilizer be Muslim or paper? Probably not paper as you would need to wash it at some point unless you are creating an art quilt of some sort. If you were going to use muslin then it would mean that you would have a pretty thin quilt, so really batting is the way to go here.